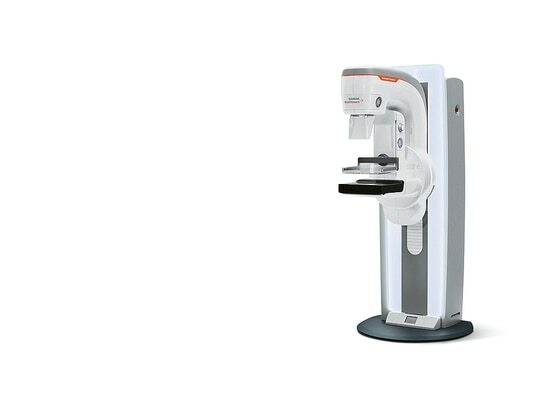 The design objective behind the mammography system Mammomat Revelation was to reduce patients’ fear of the examination. From the very first moment on, the soft form supports positive perception of the device. The individually adjustable MoodLight gives the system a hovering look and creates a relaxed and comfortable ambience. In addition, technical functions such as the reduction of the compression speed help to enhance patients’ confidence in the system. The mammography system Mammomat Revelation captivates with its soft curves, which lend it a feminine touch and inviting appearance.